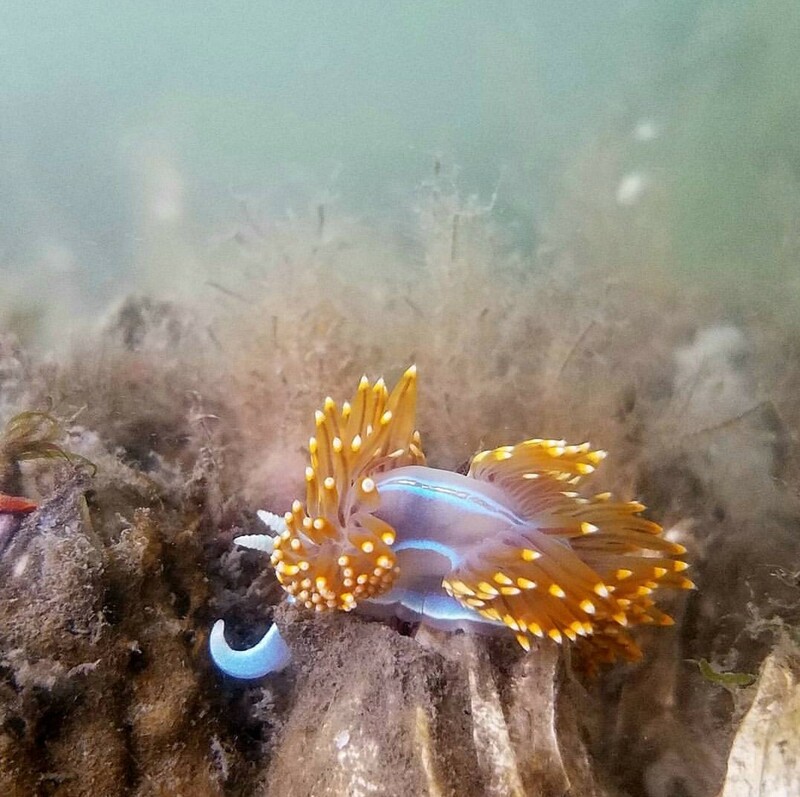 Nyle Taylor: This photo was taken by our divers off the east side of Harstine Island. In the background, you can just make out the shadows of two of our divers working to install mesh tubes underwater. 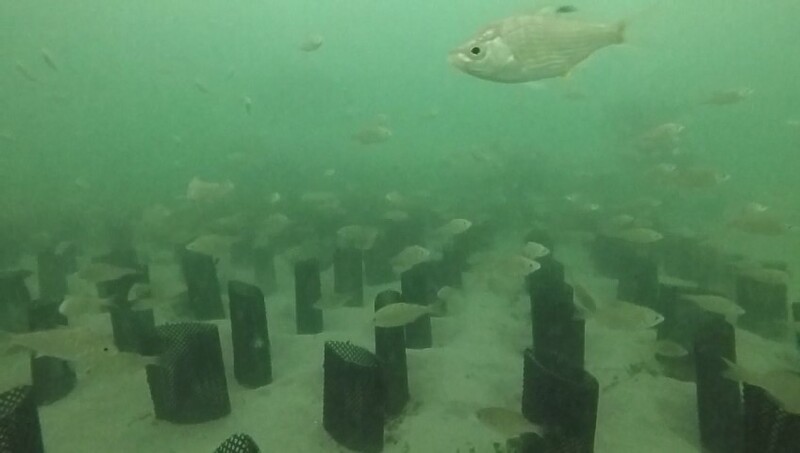 In the process, schools of shiner perch and flounder are attracted into our work site to feed on organisms that have been brought to the surface of the sand through the tube installation process. The fish dart in and out from between the tubes. Despite our diver’s presence, the fish are highly active, even right in the vicinity of their work. 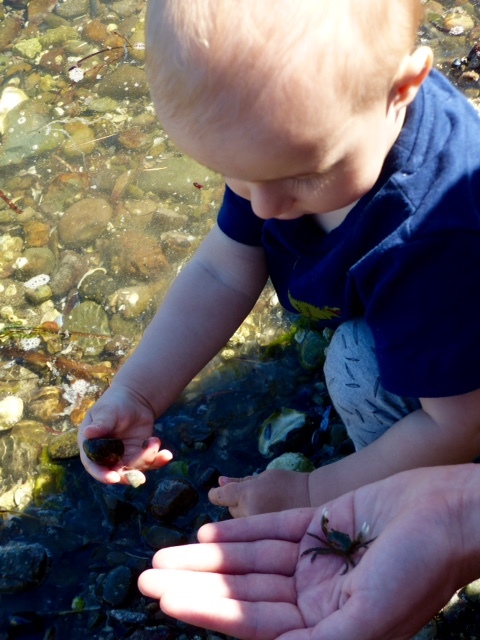 There's nothing of greater importance to the sustainability of a healthy ecosystem than educating the younger generation. 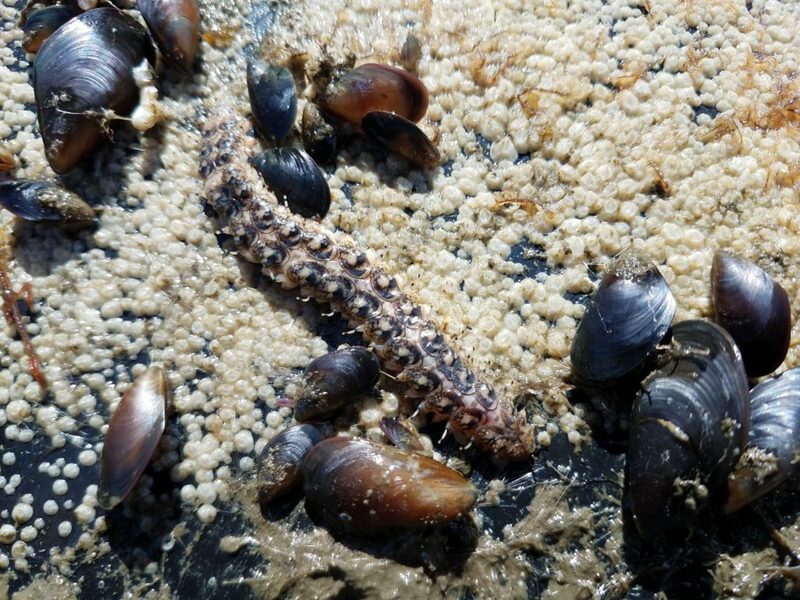 In an environment with little hard-surfaced substrate, shellfish culture provides real estate for many organisms. 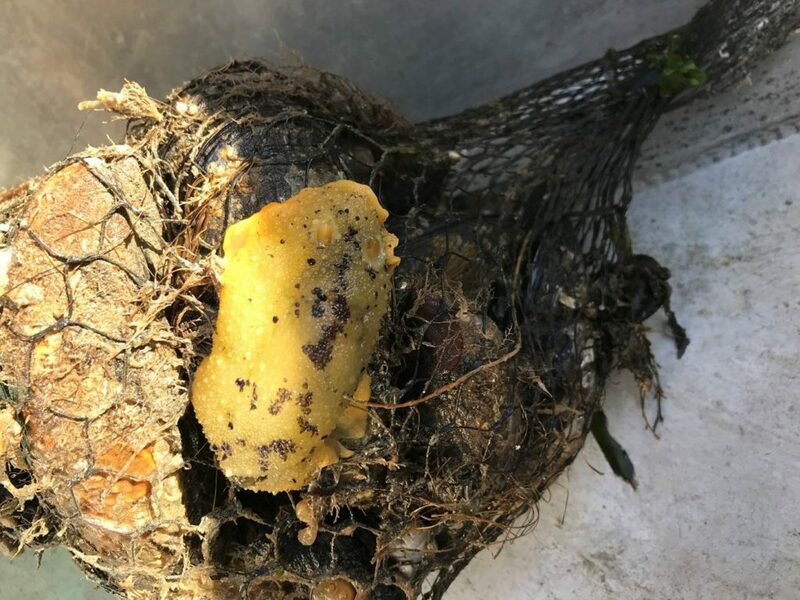 A sea lemon, Peltodoris nobilis, is one of those organisms, preying on sponges growing on this bag of mussels. 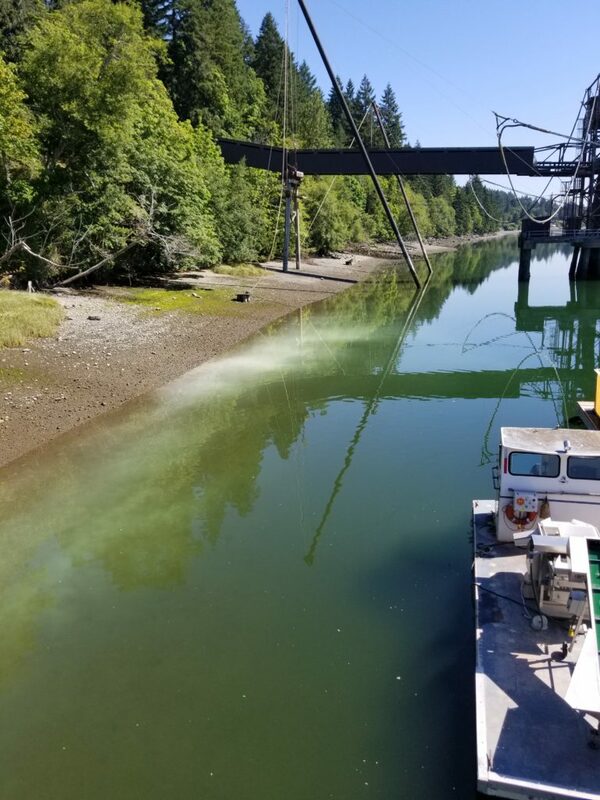 Our oyster long lines proved substrate for diverse algal communities to grow throughout the late spring and summer months. These alga, like the Ulva in this picture, provide food for native fish, invertebrates, and birds, promoting a healthy and diverse ecosystem within Humboldt Bay. 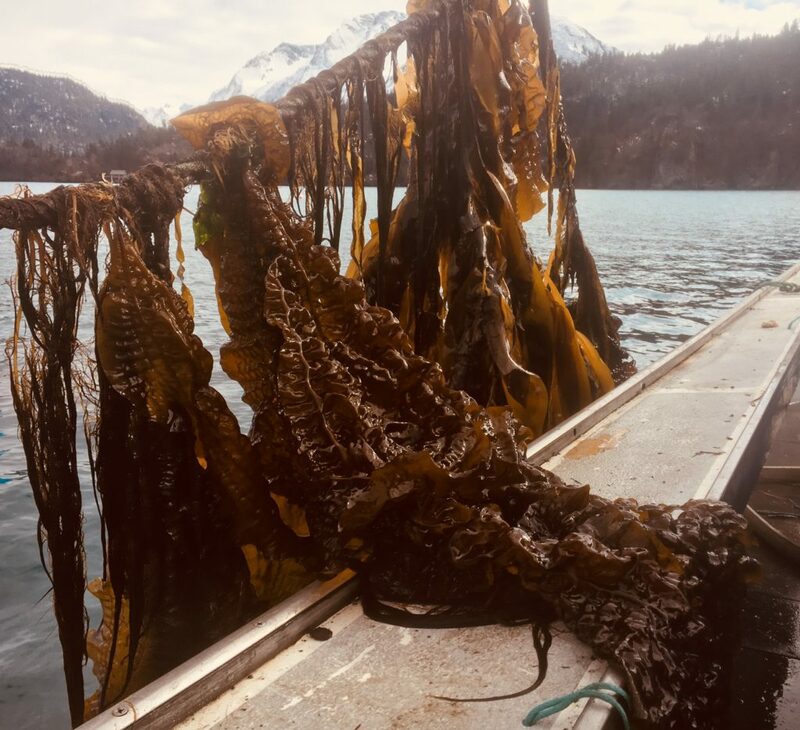 Seaweed including Sugar Kelp, Alaria and dulse form a dense underwater forest on our oyster longlines every spring in Alaska. Kelp forests have an extensive diversity of plants and animals; Including marine mammals, urchins, Fish and crustacean, that rely on the Kelp as habitat and for food. This Kelp community contributes significantly to the productivity of the environment. In addition, Kelp has the potential to reduce ocean acidification as it grows quickly taking up carbon dioxide from the seawater. 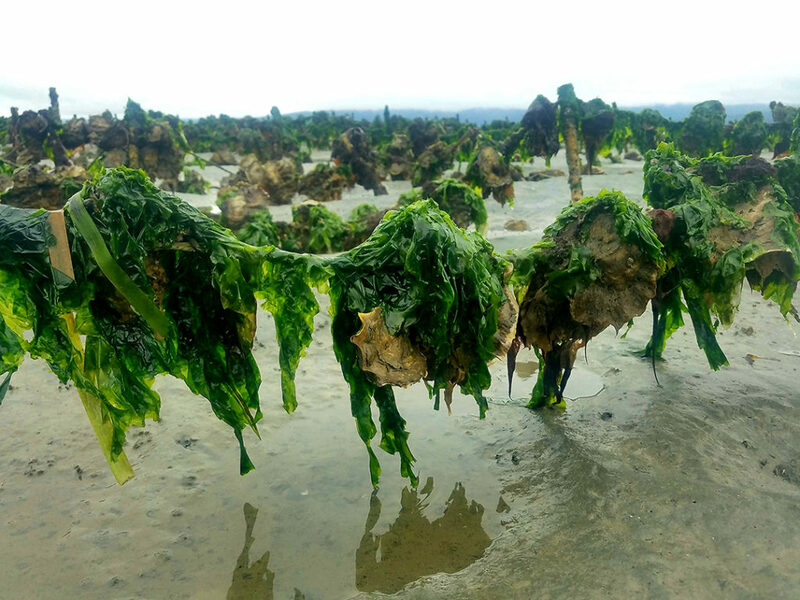 By providing a surface for Kelp to grow on, our oyster farm provides a multitude of environmental benefits to our local ecosystem. Oblivious to the extreme amount of human activity, this clam spawn ensures future generations of Manilla clams. This sight never gets old, no matter how many times I see it! The giant Pacific Octopus, just one of the many creatures that utilize our farm as habitat. 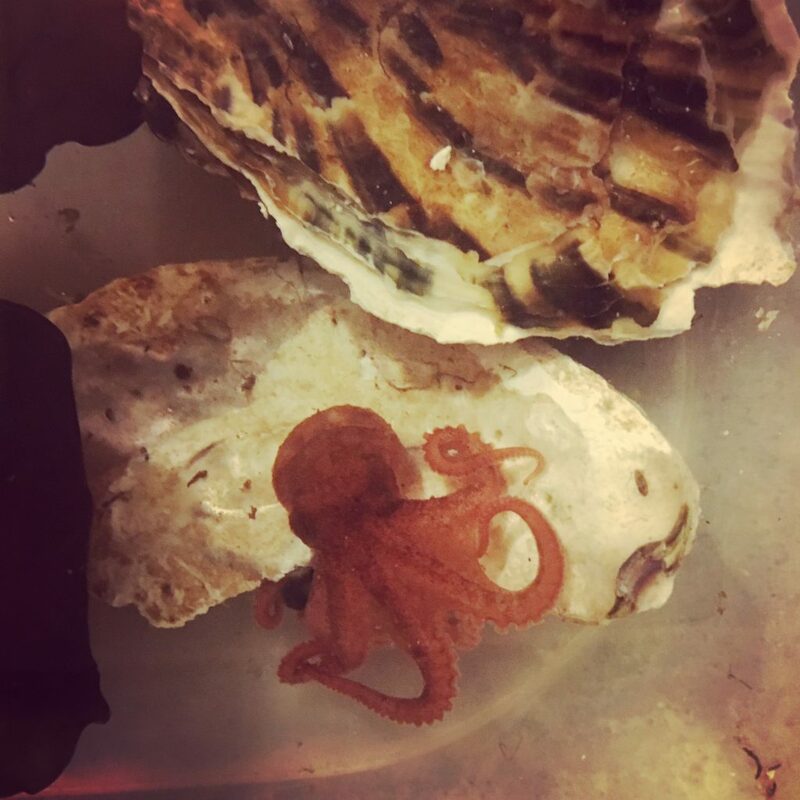 This juvenile octopus was found inside an oyster shell. 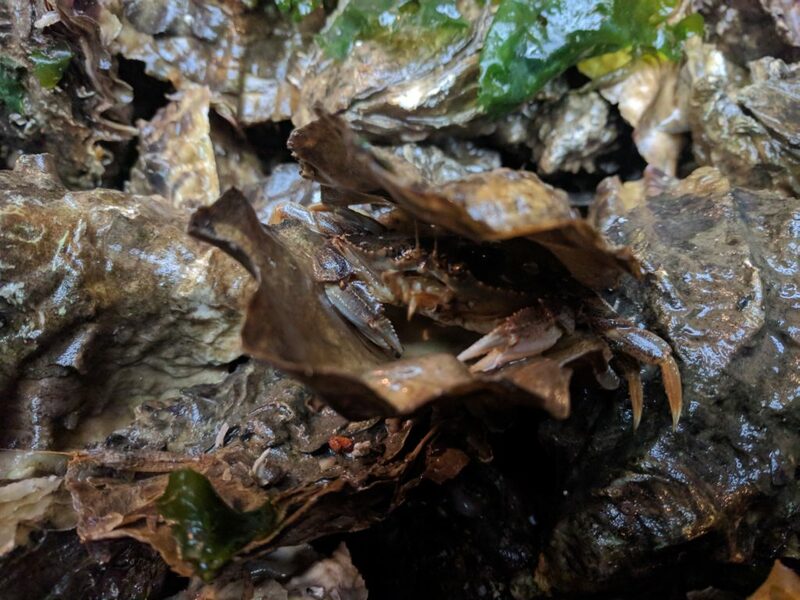 Oyster shells provide perfect habitat for juvenile octopus and there are ample invertebrates thriving in the oyster cages that the octopus eat. Another reason farming oysters is great for the environment— by providing habitat for invertebrates, like the octopus. 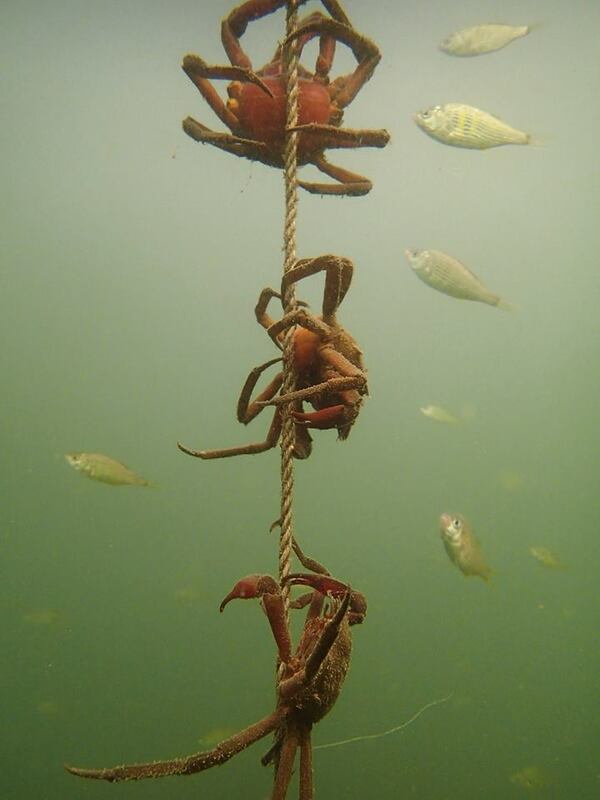 Tracy’s photo is of a Dungeness crab “Living a sheltered Life” within a Pacific oyster. Photo taken in Netarts Bay, Oregon.